Gothic Costumes There are 2 products. 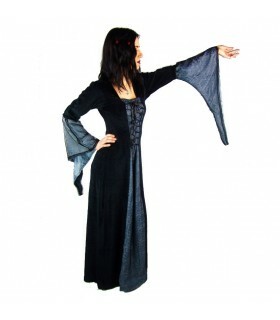 Elegant black-gray gothic dress with trumpet sleeves and laces to adjust it. It has satin inlays with lace on sleeves and front. Made of cotton-polyester. 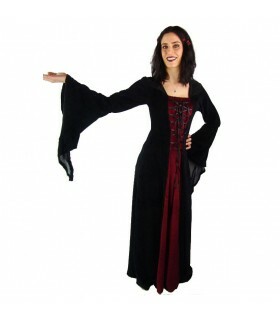 Recommended to wash machine 30º C.
Elegant black-garnet gothic dress with pointed trumpet sleeves and made of soft velvet. With laces on the chest to adjust. Recommended to wash machine 30º C.